Before attempting to purchase a shipping container do your home work. You need to be perfectly clear on your wants and your needs. Like all things for sale you can get a “rose” or a “lemon” so again, DO YOUR HOMEWORK! This is a decisions you will have to consider when purchasing your shipping container. 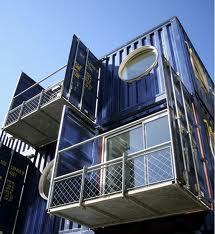 In reality you can purchase a good used shipping container for 1/3 of what retail might be on a new shipping container. One of the advantages of using a shipping container for a home or residence is the fact that most shipping containers are used for “dry” storage. That means all of the content of the shipping container must remain dry in all weather conditions. It doesn’t matter if you have the container parked on your lot in Miami or if it is on the high seas the shipping container should remain “dry”! Shipping containers are graded just like perishable items you would find in a grocery store. The following is how the shipping containers are graded and what makes the grades. Grades of shipping containers are “A” through “E” with “A” being the best and “E” being anything but. A) New Built, CSC plated, ISO standard, wind and water tight. B) Used containers, CSC Plated, ISO standard, Some minor denting and rust Suitabke for shipping or storage, Wind and water tight. C) Used containers, CSC Plated. ISO Standard, Surface rust and general wear tear more evident.Wind and water tight, Suitable for shipping and storage. D) Used containers,ISO Standard, Surface rust and general wear tear more evident.Wind and water tight, Suitable for shipping and storage. E) Used Container, Heavy wear and tear evident. May be holed but secure for storage items not effected by weather or for temporary boundaries. There is a lot of talk these day about the supposedly Apocalypse that is going to take place December 21, 2012. God I hope not! Cause I ain’t ready! I guess the biggest reason is because I have heard this all to many times before. Heck, about 20 years ago the Jehovah Witness’s were visiting regularly trying to scare the pants off of me and my family. The bible as I read it says no one will know the end of times. Sure we will see signs but that it. Ok now that is out of the way lets get to the reason of the article. I was thinking, if I am wrong about the end of days, what is the quickest way I could thing of to make a disaster proof shelter for me and my family. Yep you guest it. 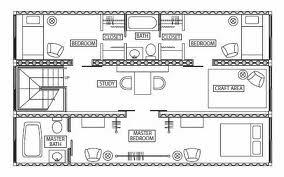 Since this website is a bought shipping container homes, it would be a shipping container! Shipping containers are ready available and are easy to transport and set up. 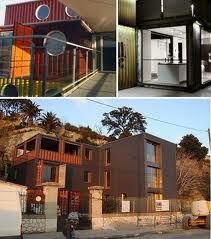 Heck, shipping container homes are even becoming very stylish! Up at the top of this page is a prime example of a spacish shipping container home. It is a two story with a huge amount of open area for cross ventilation. It looks nice too. The biggest advantage of choosing a shipping container for my doomsday shelter is because it is self contained and I can place it in a side of a hill or bury it in the ground with little trouble. When using a shipping container home in the soil you do have to take precautions. The number one is the possibility of crushing in the roof or sides of the shipping container when covering it with the soil. You can greatly reduce the risk of this by adding the soil in lifts. Never place more that 2ft at a time. 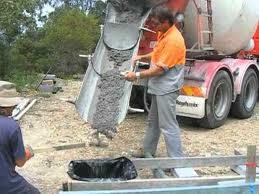 By doing so the soil has time to compact with out crushing the sides of the shipping container. Adding soil to the top of the sunken shipping container is a little different. It is better if you ad a sub roof to the container by placing 6″ steel insulated panels. There are two types of these panels. There is a utility grade an a structural grade. Use the structural grade. 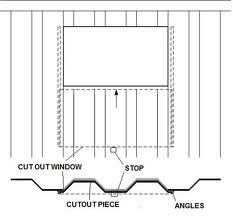 Because Shipping containers are usually 9′ in width you may be able to find “cut offs” at a discount rate. The next step is water proofing the shipping container home. I found that rolling on a thick coat of roofing asphalt works really well. I like this method because it works and is the lest expensive way that I know of. If you have money, and want to spend it since you won’t need it, Ryno Guard truck bed spray is a great choice. It hardens and pretty much is indestructible. You can get this stuff at most hardware stores these days. Conclusion to my Doomsday Shelter. If I had to have shelter in a hurry I definitively would consider a Shipping Container as a home. There cheap, Ready and there are plenty of them. So if you have a bad feeling about December 21, 2012 consider a shipping container and act now. You may be glad yo did! See ya on the other side.